And the -ber months have officially begun. It is crazy how fast 2016 has passed by. Welcoming a new year within four month and not to mention celebrating my 23rd birthday this year is just too much. Anyway, it today's post I'll walk you through my current bullet journal set up. 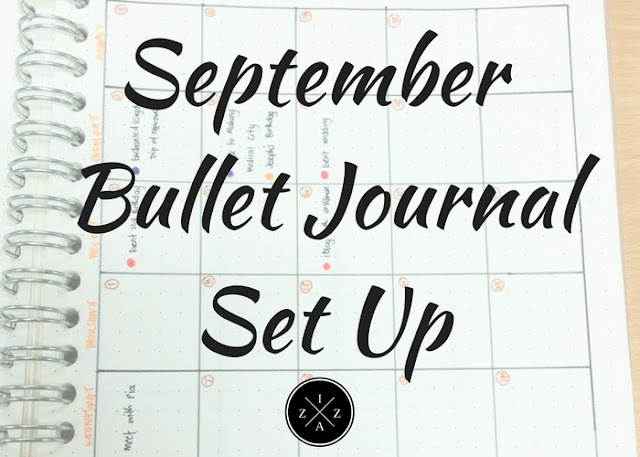 Showing you all the why's, how to's and tips for each entries I included for my September Bullet Journal. I decided to create a simple calendar for my September. I wanted just enough space to log special dates and reminders to my Bullet Journal. I am using the usual color-coding system I use since I began doing the Bullet Journal system two years ago. As always I plan to put quick log on days that something big and memorable happen. I added my goals for September on my brain dump page since I don't have any space available on the calendar anymore. Just like last month I divided my goals to personal and blog statistics. Miracle Morning - A big struggle keeping with the Miracle Morning for I wasn't able to wake up early. But I will still try my hardest to go back to this routine. Morning Pages - Same as above. This is part of my own version of the Miracle Morning and I have to work harder to keep up with this routine. 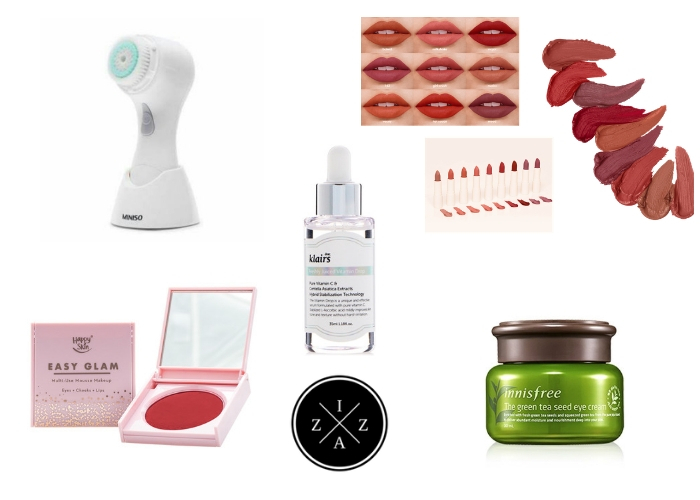 AM and PM Skincare Routine - Yes!!! Probably one of the best thing I did to give back to myself is to create a morning and skincare routine. I am glad that I was able to take care of my skin by doing this. Click here for my current day and night skincare routine. I will be moving this on my September Habit Tracker instead of Goals. Daily Medicine In-Take - Yes!!! I will also be moving this on my September Habit Tracker instead of Goals. Start Devotional for August - The Purpose Driven Life - Wasn't able to keep up with this. Again I am aware that it is my fault but I refuse to give up on this matter and will try again this September. Do Something for the Event Business - I didn't market my event hosting for August but I was able to get booked for some dates on September even October which by the way is a big surprise. Prepare for the arrival of someone here in the Philippines - Will tell more stories about this soon when I'm ready. Get massive monthly tasks for the blog done - I feel like August has been very productive month for my blogs. I published a lot of posts plus did some amazing changes on the blog. As you may notice the template I am using for IzzaGlino is new plus I did change the photos I use for each post. It is a lot of work but I am excited when all the tweaking is finished already. Reach 150,000 Pageviews on SavingsPinay - YES!!! And I did not just reach my goal but I also received the highest monthly pageview ever on SavingsPinay!!! Thank you sooooo much. For August we had 158,410 pageviews. Reach 90,000 Pageviews on IzzaGlino - YESS!!! And again we even surpassed our target. We wrapped up August with 93,147 pageviews on this blog. 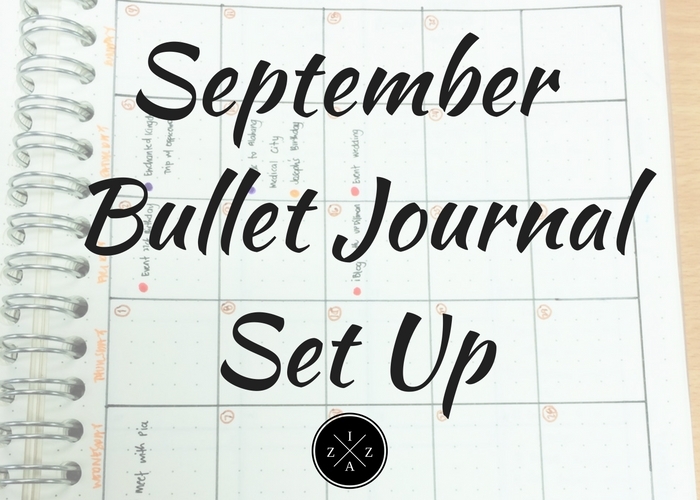 CLICK HERE to view my August Bullet Journal Set Up. Again I feel a bit sad and guilty that most of my goals for August will be carried over for the month of September. As much as I want to set as an example of how writing your goals will enable you to build upon your successes, I lack the discipline to ACT ACCORDINGLY. I have to psyche myself that my goal is to finish 2016 strong and that I have to do my best always. As always I pray I could keep up with all of my to-do's and achieve as many goals as possible. Reach 50 members on SavingsPinay FB Community from 44. I did a little brain dump/mind map on my projects for September. It's funny how much I look forward to doing this every single month. I love jotting down everything that I need to do to make the as productive as possible. Almost all of my September Projects are continuation of my August though I also included some new items like blogging about my event hosting. I am also incorporating a new productivity method which is doing a batch task on a daily basis. 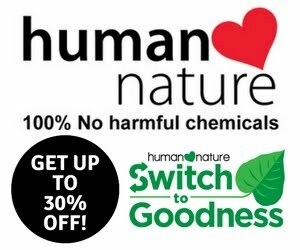 I will try to create a blog post if I feel like it worked for me. Yes I did change my Editorial Calendar... AGAIN. I don't know but I find it hard to stick on one layout when it comes to my content calendar. For September I created a Stat Comparison on the heading on my calendar so I can easily see the difference I made versus the previous month. I also plan to use a traditional calendar layout and use color-coding to separate my content idea for SavingsPinay, IzzaGlino, YouTube and Admin tasks. I also thought of some important tasks on the blog I have to accomplish this month as well as how I schedule which post goes live on a particular day. I decided to try the whole monthly tracker again and instead of doing it my own I downloaded and printed Kara of BohoBerry's free printable. I don't why I didn't think of doing this before. Her layout is really good and so far so good. As I mentioned last month I did discontinue creating a weekly page and focused all my attention to my daily pages. I am actually happy with the current layout I am using daily because it is simple yet it captures every task I have to do and reminders I have to set. That's it for my September Bullet Journal I hope you enjoyed this.